As creator -- or Father as redeemer -- or Son and as sustainer -- or Spirit. 1. Is The Trinity Scriptural? 2. 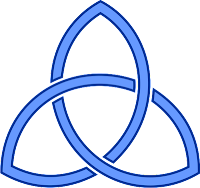 Is The Trinity Sensible? 3. Is The Trinity Significant? This sermon will teach the orthodox Christian belief in the Trinity in an understandable way.